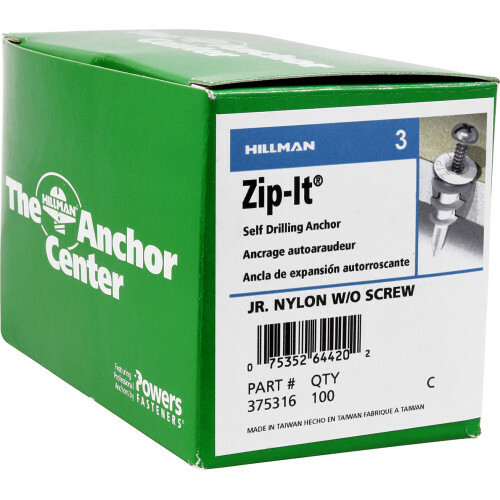 The Wallboard Anchor is a one piece self-drilling anchor designed for use in hollow gypsum wallboard for light to medium duty loads. 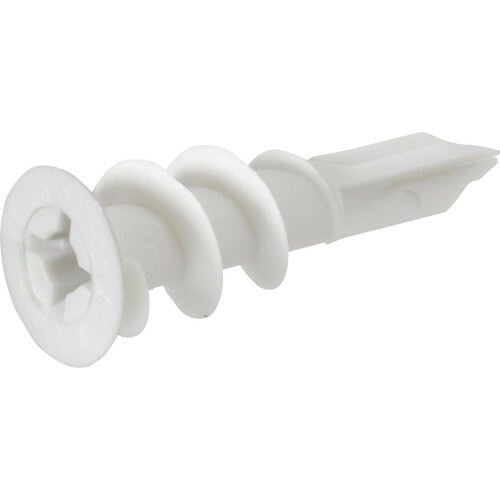 It is ideal for mounting electrical fixtures, fastening drapery supports, installing phone systems and miscellaneous hardware. 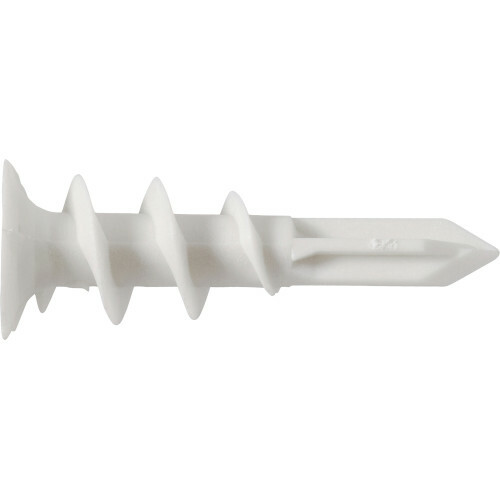 Nylon drywall anchors feature a shark's-tooth design to provide correct positioning and quick installation. Maximum Allowable Load for drywall (1/2") and plaster is based on 2:1 safety factor using an average of ultimate tension and shear loads. The Maximum Allowable Load is a guide only and cannot be guaranteed. Pound ratings are based on the anchor only. Effectiveness can be diminished based on the material and conditions of the base material.